Erinnert sich noch jemand an die Affäre um den früheren ISAF-Kommandeur und US-General David Petraeus? Die dazu führte, dass er als CIA-Chef zurücktrat? Und dass diese Affäre auch seinen Nachfolger in Kabul, den General John R. Allen zu erreichen drohte? Dessen neuer Job als NATO-Oberbefehlshaber damit in Gefahr schien? In a letter sent to Allen on Friday, the inspector general wrote that Allen had not violated military prohibitions against conduct unbecoming an officer, the senior U.S. officials said. “He was completely exonerated,” one of the officials said. Damit dürfte seiner Berufung und seinem Amtsantritt als SACEUR nichts mehr im Weg stehen. 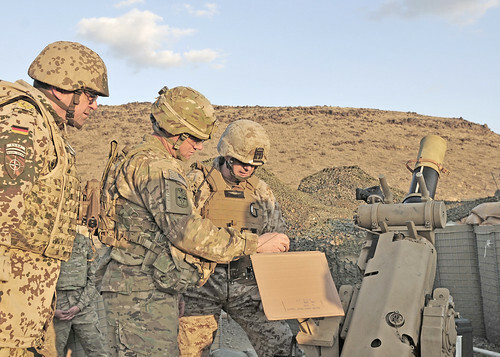 A Defense Department inspector general investigation into allegations of professional misconduct has cleared Marine Corps Gen. John R. Allen, commander of the International Security Assistance Force in Afghanistan, Pentagon Press Secretary George Little said yesterday. On Oct. 10, President Barack Obama nominated Allen to serve as NATO’s supreme allied commander for Europe and commander of U.S. European Command. Navy Adm. James G. Stavridis, now in that position, is scheduled to retire. In November, while Panetta was traveling in the Asia-Pacific region, the FBI referred a matter involving Allen to the Defense Department. Panetta directed that the matter be referred to the DOD IG for investigation. He informed the chairman and ranking members of the Senate Armed Services Committee and the House Armed Services Committee. The secretary also asked the ranking members of the Senate Armed Services Committee to delay a confirmation hearing scheduled for Nov. 15 on Allen’s pending NATO nomination until the matter was resolved. Britische Hilfe für Franzosen in Mali: Keine Kampftruppen! 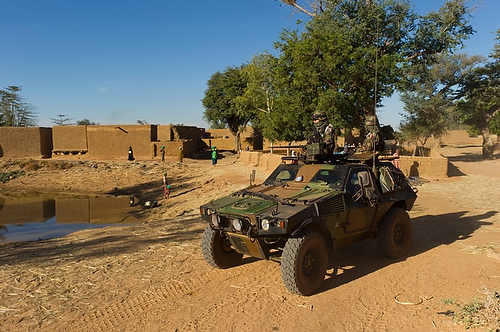 A small number of UK special forces soldiers are already on the ground in Mali helping to co-ordinate and advise the French military effort against the jihadi groups in the north. They are part of a team of British military and MI6 personnel in the country who are providing support to French commanders. None of the special forces soldiers are being deployed in a combat role, sources insisted. The UK is also preparing to answer a call from the French for extra help with reconnaissance aircraft, which is expected to include RAF Sentinels, which were used during the Libya campaign. Was zeigt: schon die Aussage keine Kampftruppen ist je nach Nation sehr unterschiedlich zu bewerten.